Thank you for visiting our site. We are a family run business situated in Great Casterton, 1/2 a mile from Stamford and the A1. 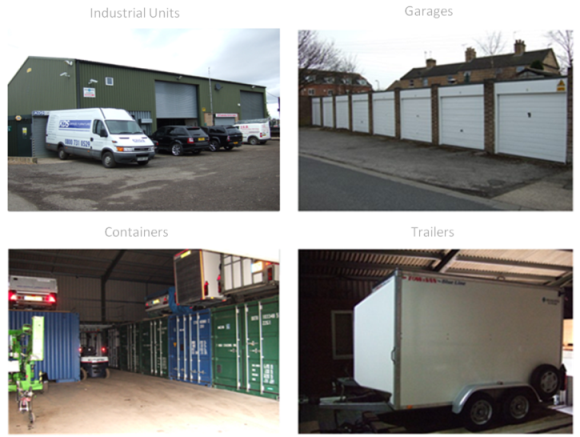 We specialise in letting industrial units, storage containers, trailers, lock up garages and flats. We also have parking spaces for cars and vans. We also have a car transport service with modern car transporter trailers fitted with winches; we provide this service anywhere in the UK. If you would like more information on our industrial units, containers, lock up garages and trailers, click on the links on the left. Alternatively, you can contact us today by clicking here. All storage areas are covered by 24 hour CCTV.